1.Patented design, functions two in one, the front for teeth brushing and back for fur clearing. 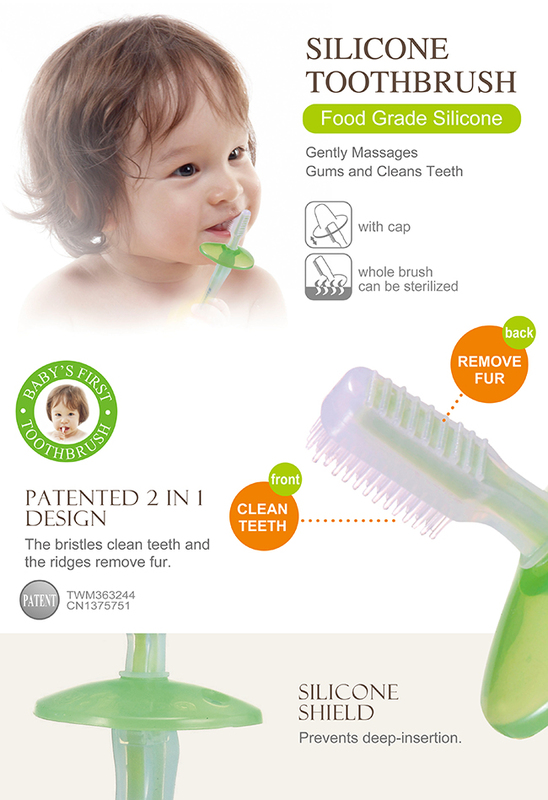 and is ideal for baby to learn teeth brushing joyfully. 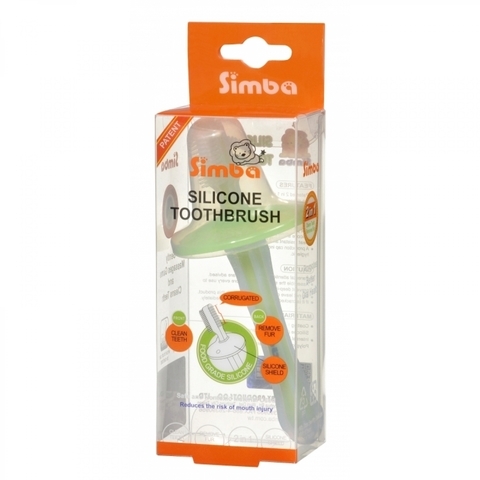 3.Natural and non-toxic materials used. 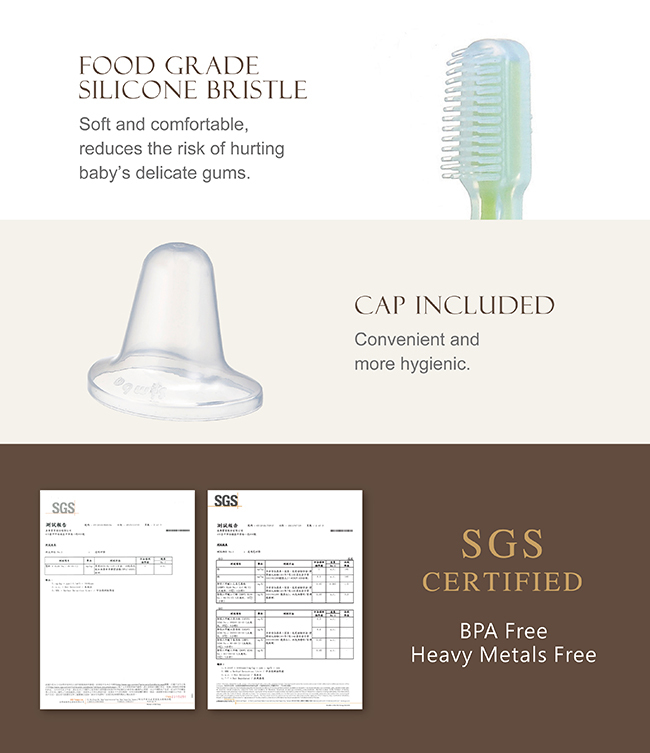 4.Designed with safe stopper to avoid babies from hurting the throat that caused by deep inserting. 6.With cap, ideal for traveling..